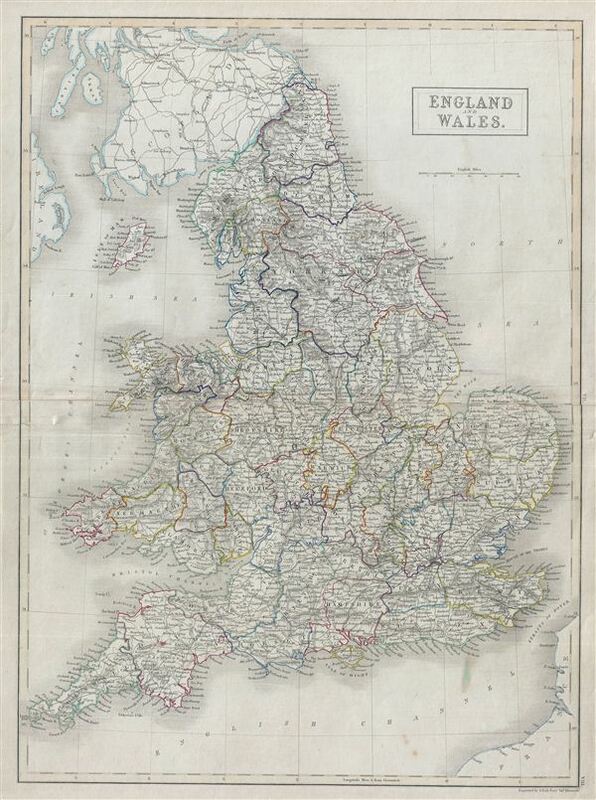 A fine example of Adam and Charles Black's 1840 map of england and Wales. The map covers both england and Wales from Northumberland to Cornwall and includes the Isle of Man. During this time, both england and Wales were in the midst of the Industrial Revolution wherein much of the rural agricultural population relocated to urban centers. This map was engraved by S. Hall for issue in the 1840 edition of Black's General Atlas. Very good. Blank on verso. Original centerfold. Original platemark visible. Verso repair extending approximately 2 inches from left center margin with similar verso repair on right center margin, not extending onto printed area. Rumsey 2305.015 (1854 edition). Philips (atlases) 4334.